Johnson & Johnson Medical Devices Companies announced today that Biosense Webster, Inc., a worldwide leader in the diagnosis and treatment of heart arrhythmias, has enrolled and treated the first patient in its STELLAR U.S. Investigational Device Exemption (IDE) study. 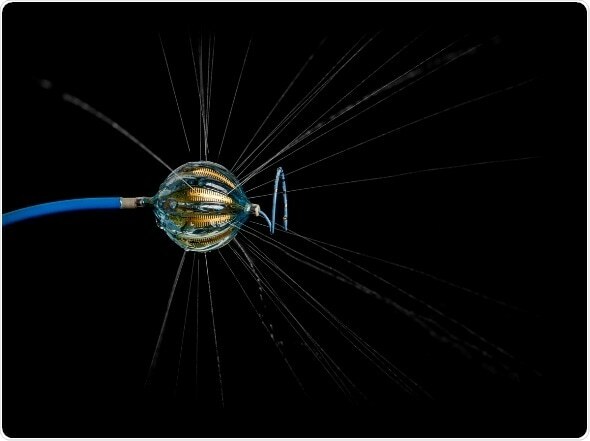 The study will evaluate the safety and effectiveness of HELIOSTAR Multi-electrode Radiofrequency (RF) Balloon Ablation Catheter in treating symptomatic drug refractory recurrent paroxysmal (intermittent) atrial fibrillation (AF). Up to 640 patients will be enrolled in as many as 40 clinical sites worldwide. “This new balloon catheter is unique because it conforms to any pulmonary vein anatomy and allows me to control electrodes individually to deliver tailored energy when ablating around pulmonary veins,” said cardiac electrophysiologist Rodney Horton, M.D., who treated the first patient in the study with Dr. Andrea Natale at the Texas Cardiac Arrhythmia Institute at St. David’s Medical Center. Uri Yaron, Worldwide President, Biosense Webster, Inc.